I understand how difficult it can be to ask for help, particularly when you are the one who is always there for those around you. But there are times when even the strongest people need support, rather than trying to struggle on in stressful and distressing situations. At such times it can be a huge relief to talk to someone who is not in your immediate circle. 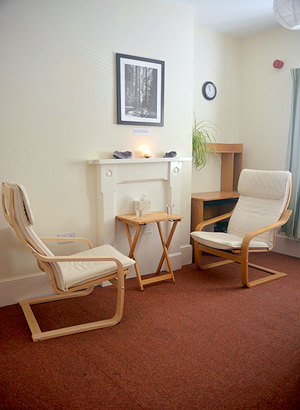 Counselling gives you a supportive, confidential space in which to explore what you're going through with a trained and empathic listener. From my own experience of being a client, I know how deeply beneficial it is to feel truly seen, heard, and understood; until then, I had no idea how healing the therapeutic relationship could be. It is within this relationship that the work unfolds, as together we look at what is going on for you and gain insights which can guide us towards finding a way forward. My approach, psychosynthesis, seeks to discover what is trying to emerge in your life at this point, and to help you embrace it from a place of conscious awareness. Psychosynthesis is more than a psychological model, it’s a philosophy which provides useful tools for day-to-day living, seeing life as a journey where we all have challenges and obstacles to meet in our quest to become truly ourselves and enjoy a fuller and more meaningful existence. Depending on your needs I can provide short-term focused work of a few sessions, or longer-term psychotherapeutic work for more deeply rooted issues. If you would like to see how it might feel to work with me, please contact me and we can arrange an exploratory session. We made a real connection. I'm coming away with more resilience and sense of self. I used to feel like I was buried under a pile of things and now I can see what’s what. I’m in such a different place than I was 6 months ago - I just feel like a different person.